Home » Will the Censors Win? 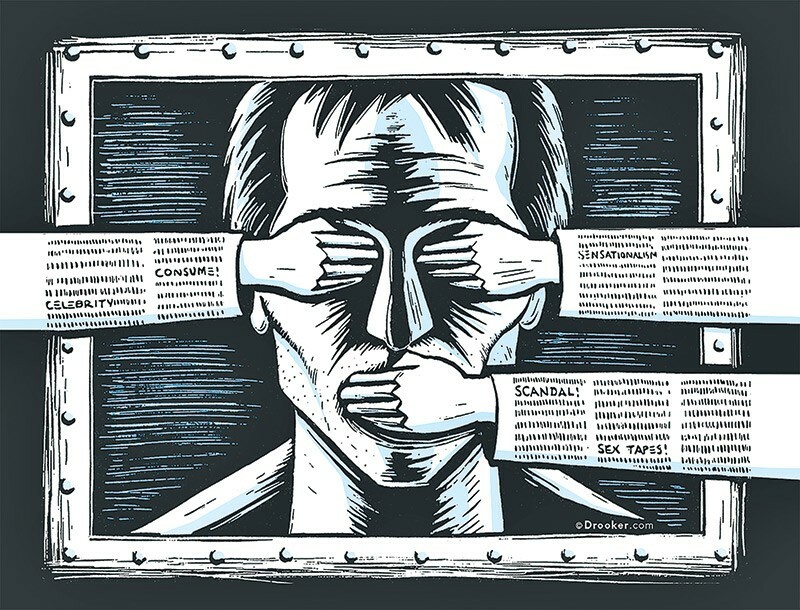 The Internet is seen as a savior that will take over the function of honest reporting and free speech now that the print and TV media and NPR serve as the Ministry of Propaganda. This is true only if people migrate from Google, Facebook, Twitter, and so forth, to the alternatives that do not block content at odds with official explanations. Unfortunately, people tend to be stuck in their ways. They are accustomed to Google, Facebook, and Twitter, don’t know of the alternatives, and if they did, are disinclined to spend their time to set up differently. As for free speech, Western society has reached the point where anyone who expresses an opinion finds themselves grovelling in apologies. Debate is nonexistent. A person’s opinions are fashioned for the person, who still has to be careful to express the current opinion of the moment, and not yesterday’s version or the one an hour ago. The result is an unsupporting milieu for truth. This website is independent of official explanations and political correctness. In the 21st Century Western world, it is impossible to tell the truth and not be demonized. Demonization of truth scares away those who have been taught that they cannot have an opinion of their own. If the American people, indeed the Western world, are to have a future, it will be due to websites such as this one. Support of this website is a strike against The Matrix. Some readers suggest that I should take advantage of the large readership and have ads. That would be the end of the website. Ads are the way they control you and corrupt you. A website dependent on ads is in Google’s clutches. If you say the wrong thing, there go the ads and the website’s financing. If you say the right things, in comes the money and out goes the truth. The website becomes just another hired voice. This is why this website depends on donations from those who can think for themselves. My readers, for the most part, are seeking information, not confirmation of their biases. The donors are very supportive of the website. The vast majority of donors contribute monthly. My quarterly appeals are to the many readers who do not support the website. Truth has never had an easy time, but in the 21st Century there is an all out war against truth. Agendas are prevailing over truth. People need to support the few places truth can still be found. In the 20th Century there were liberal and conservative philanthropic foundations that supported the First Amendment and dissident opinion. No more. The conservative foundations have fallen to the neoconservatives and their agenda of American (and Israeli) hegemony. The liberal foundations have been aligned with Identity Politics and pump money into the destruction of social cohesion. There is no big money for truth. The task of supporting truth lies with ordinary everyday people.